K. Kris Hirst is an archaeologist with 30 years of field experience. She is the author of The Archaeologist's Book of Quotations and her work has appeared in Science and Archaeology. I have to admit when I first heard of the Antikythera Mechanism, back in 2005, I thought it was a hoax, at the very least wildly improbable. Imagine: a 2,100-year-old object consisting of a complex set of gears that together mapped the movement of the planets, moon, and sun. Built of bronze in the 3rd century BC, this object fit, say the scholars, into a box about the size of a large dictionary. And, if that isn't amazing enough, the astronomy it mapped put the earth at the center of the universe: the engineers who made the machine were fundamentally incorrect about the solar system but nonetheless were able to craft a working model. And this object was found in the wreck of a 1st century BC Roman galley. Unbelievable. But then, I realized like we all eventually do: all of what our science is today comes from the past, that we aren't the only technically smart humans that walked on our planet, we're just the latest generation. The Antikythera Mechanism is hard to talk about without gushing. I'm just warning you: when you see the 2012 video from NOVA called Ancient Computer, be prepared to be amazed. 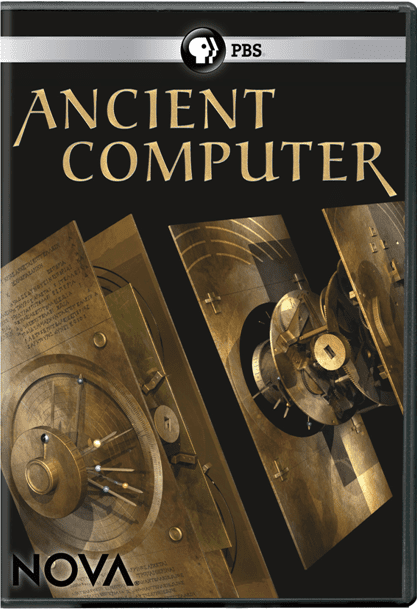 As Ancient Computer describes, the Antikythera Mechanism was discovered in 1900, part of the wreck of a Roman galley which sank off the coast of the Greek island of Antikythera somewhere between 70 and 50 BC. Among the wreck's contents were a large number of bronze and marble statues, several bronze and silver coins, and several amphorae which probably contained wine and oils. Evidence recovered by the original divers, and a 1976 dive by inventor/explorer Jacques Cousteau, suggested that the ship probably originated at Pergamon or Ephesus, and stopped at Kos and/or Rhodes to pick up cargo, and massively overloaded, sank in a storm on its way back to the mainland. But the most remarkable piece of evidence recovered from the unnamed wreck was a corroded mass of 82 fragile bronze fragments, which x-ray investigations revealed to be a collection of 27 gears that fit together like a clockwork. And, say scholars, that clockwork maps the movement of the moon, sun and five of our planets, and uses several of the available scientific theories of its day to predict solar and lunar eclipses. Figuring out the purpose of the Antikythera Mechanism has been the bailiwick of an assorted group of mathematicians, astronomers, historians, and engineers. Intensively studied for decades, the mechanism has seen several working models created (each hotly debated), but even the scholars working on the machine admit that they only have 27 of a probable total of 50 or 60 gears. The video Ancient Computer examines the previous history and then focuses on the recent results of the last few years. The discovery of "Fragment F", which confirmed the eclipse-predicting function of the machine, is featured, along with a description of why it was so important to Greek society that eclipses be predicted well in advance. The team of scholars--not a team in the sense that they work together, they use the Internet to connect and work collaboratively--have also identified an ingenious method developed by the machine's maker to map the movements of our variable moon, using a pin and slot mechanism to adjust for the motions. Although in the video no one goes out on a limb to say definitively (truly, how could you? ), there's considerable discussion about who might have made the Antikythera Machine (or at least its prototype): the most likely candidate, say the scholars, was the 3rd century BC engineer and mathematician Archimedes. A taste of historical documentation suggests how the mechanism might have disappeared from Archimedes' workshop in Syracuse when the city was sacked, and how the mechanism likely ended up in Roman hands. Tantalizingly, the Roman historian Cicero describes a mechanism, not unlike this one, which was owned by the grandson of the general who sacked Syracuse. My favorite part of the video mourns the loss of the technology: but suggests that maybe it wasn't lost, that some of Archimedes' fabulous machines, or the ideas of them, ended up in Byzantium, thence to the Arabic scholars of 8th-11th centuries and then back to Europe in the form of clocks which signalled the beginning of the Renaissance. All of this part of the story is delicious speculation, and it is for the most part outside of the archaeological literature. What archaeology tells us is that the mass of bronze gears was included in a Roman galley that sank off the coast of Antikythera in 50-70 BC. Fortunately, that's not the only kind of science available to us. Ancient Computer is a fascinating video, and it is a humbling experience to remember that technological advances do not secure a continuing society. An hour well spent, if there ever was one. Disclosure: A review copy was provided by the publisher. For more information, please see our Ethics Policy. What Culinary Genius Society First Came Up with Domesticated Garlic? Who was Archimedes and What Did He Invent? What Did the Dong Son Drum Mean to the People Who Created Them? When Did Humans Figure Out How to Run the World - and One Another? 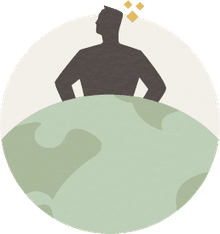 Do You Know the Difference between Provenience and Provenance? Once You've Seen One Mosaic, You've Seen Them All - Right?